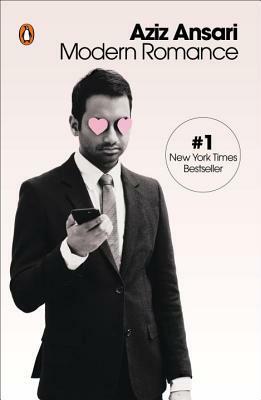 Aziz Ansari is a writer, stand-up comedian, and actor. He currently stars in, writes, and directs his own original series for Netflix--Master of None--winner of the 2016 Critics' Choice Television Award for Best Comedy Series. Ansari is also the winner of a 2016 Emmy Award for Outstanding Writing for a Comedy Series. In 2014, Ansari became the seventh comedian ever to sell out Madison Square Garden in New York. His two sold-out performances at the legendary arena were filmed for his fourth comedy special, "Aziz Ansari: Live at Madison Square Garden," which was released in March of 2015 on Netflix. For seven seasons, he starred as Tom Haverford on the beloved NBC comedy series Parks and Recreation with Amy Poehler and other great people. He has also appeared in several films including This Is the End, Funny People, and 30 Minutes or Less. He enjoys eating fresh pasta and watching multiple hours of critically acclaimed television dramas in one sitting. Eric Klinenberg is a professor of sociology at NYU. He's the author of Going Solo (Penguin Press) and has contributed to The New Yorker, Rolling Stone, and This American Life. "A sprightly, easygoing hybrid of fact, observation, advice and comedy."